The Corbett Report is listener-supported, commercial-free alternative media. 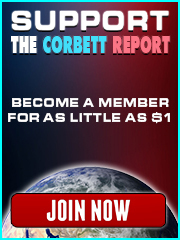 For just a small donation of as little as $1 per month, you can become a Corbett Report member and help keep this website running. Members will be issued a login ID and password for the site. 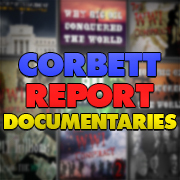 Members can login to leave comments and access The Corbett Report Subscriber, including James Corbett’s editorial for The International Forecaster, recommended reading and viewing, a monthly members-only video and discounts on DVDs. To sign up, either use the button on the left to subscribe at a fixed monthly rate ($1 / $3 / $5 per month) or use the button on the right to purchase an annual subscription at a price of your choosing (minimum price: $12). *NOTE: New members have to be entered into the system manually. It can take as long as 24 hours for this to happen, so please be patient.